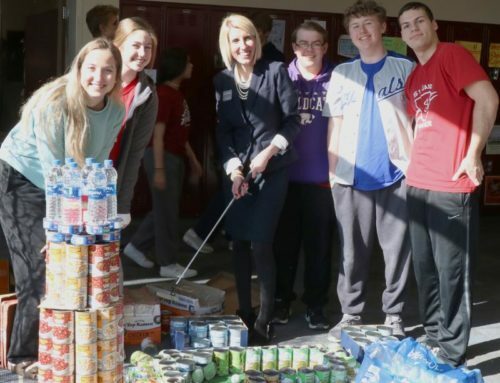 KANSAS CITY, Kan., Nov. 2, 2018 — AT&T Pioneers is contributing $5,000 to Catholic Charities of Northeast Kansas. 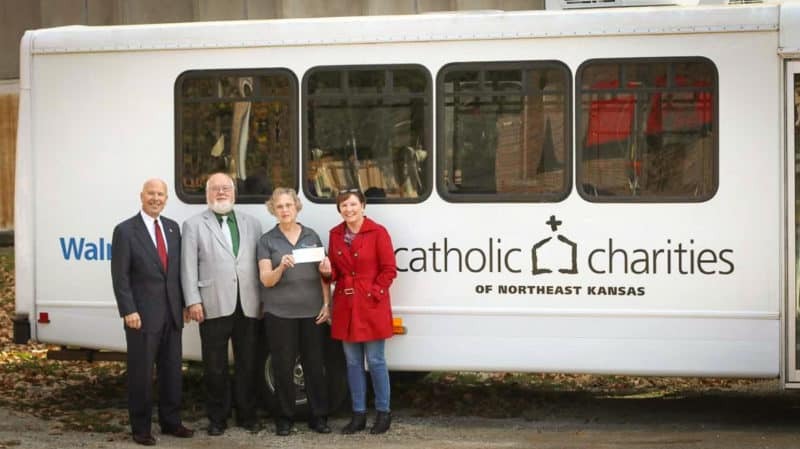 The funds will be used to stock the organization’s two Mobile Resource buses with books, food, and clothing for those living in underserved areas throughout northeast Kansas. 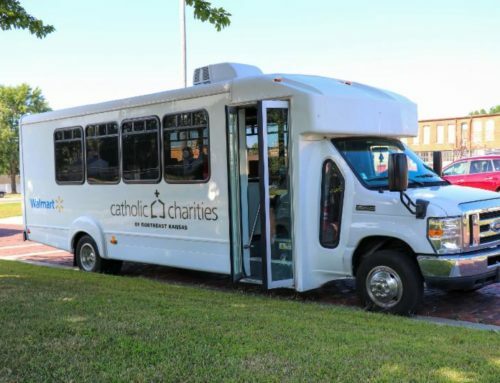 The Wy-Jo Council of AT&T Pioneers nominated Catholic Charities, a not-for-profit that serves people of all faiths through its emergency assistance and strengthening programs, to receive the funding. This year, through nominations by AT&T Pioneer chapters, AT&T plans to contribute $150,000 to charities around the nation. The contribution is part of a special initiative that awards local funding based on the nominations of AT&T employee groups. 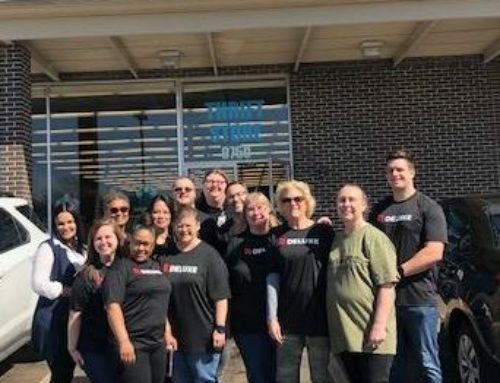 The AT&T Community Engagement Contribution, established in 2007, gives these groups, with a strong record of volunteerism, the ability to identify non-profits making a local impact. AT&T is committed to advancing education, strengthening communities, and improving lives. 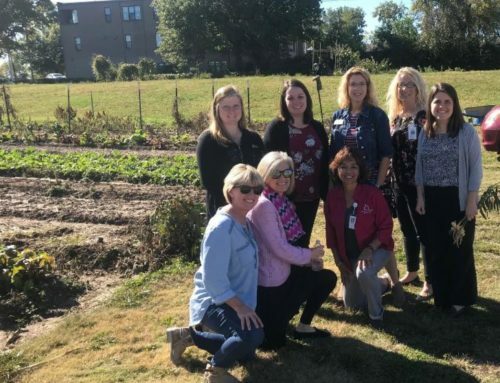 Through its community initiatives, AT&T has a long history of investing in projects that create learning opportunities; promote academic and economic achievement; or address community needs. The company’s signature philanthropic initiative, AT&T Aspire, drives innovation in education to promote student success in school and beyond. With a financial commitment of $400 million since 2008, AT&T is leveraging technology, relationships, and social innovation to help all students make their biggest dreams a reality.